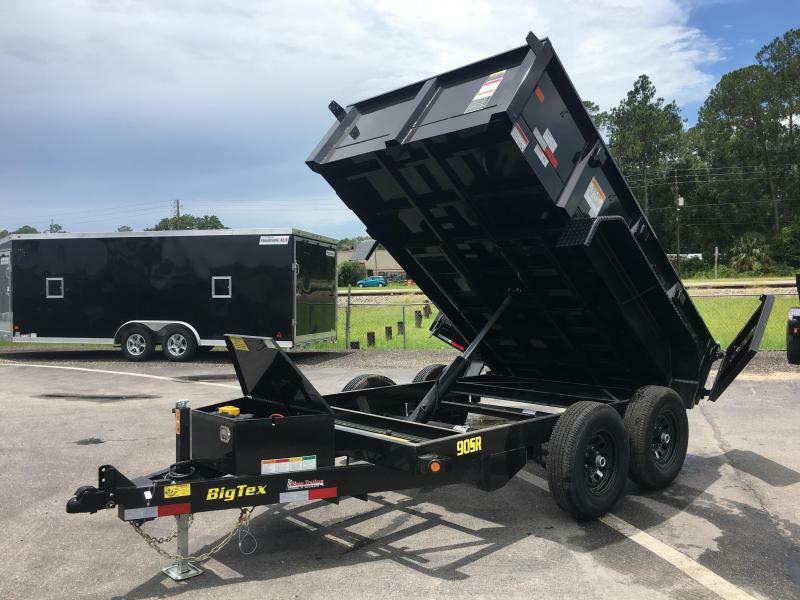 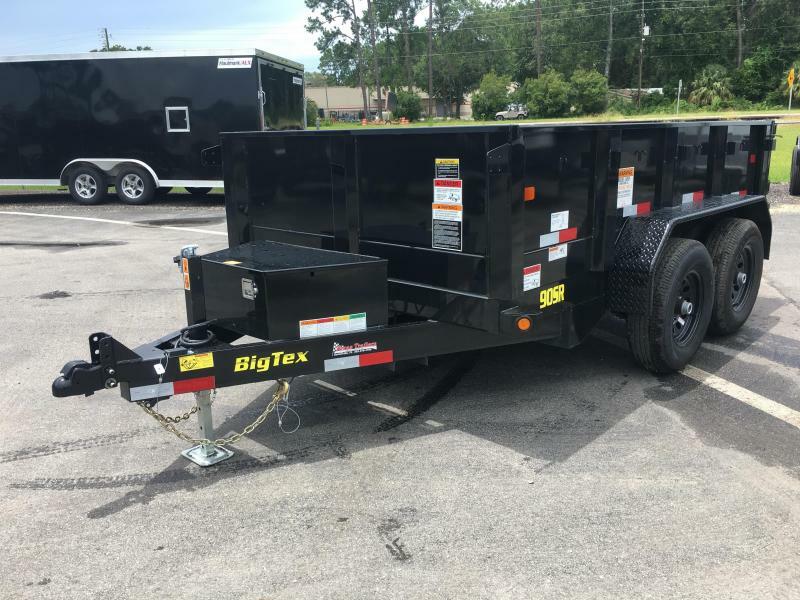 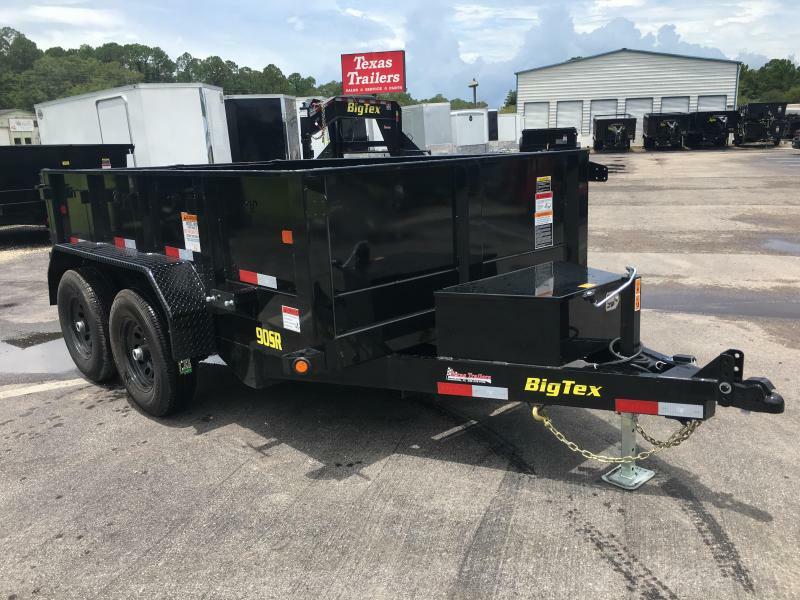 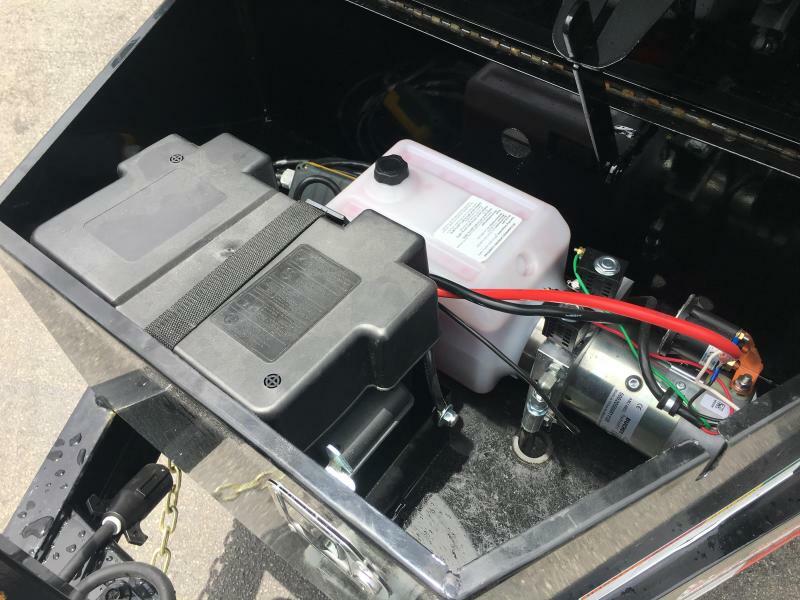 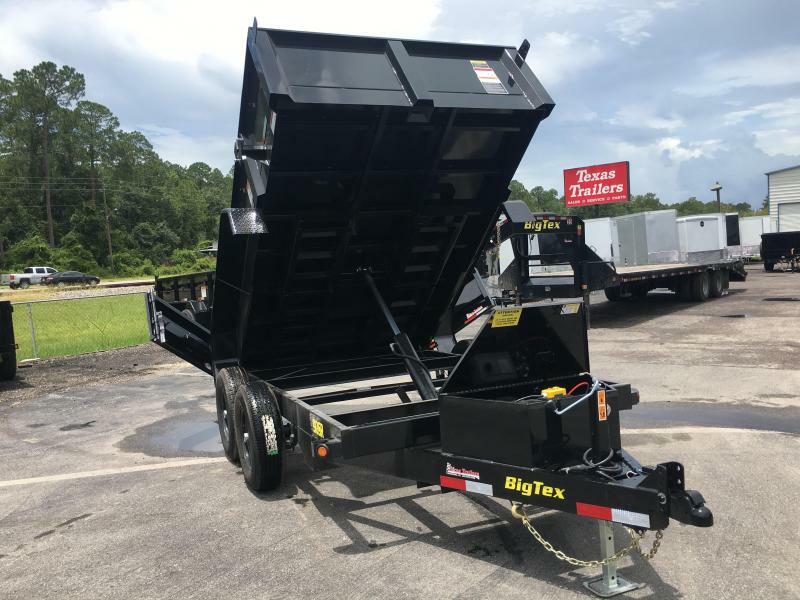 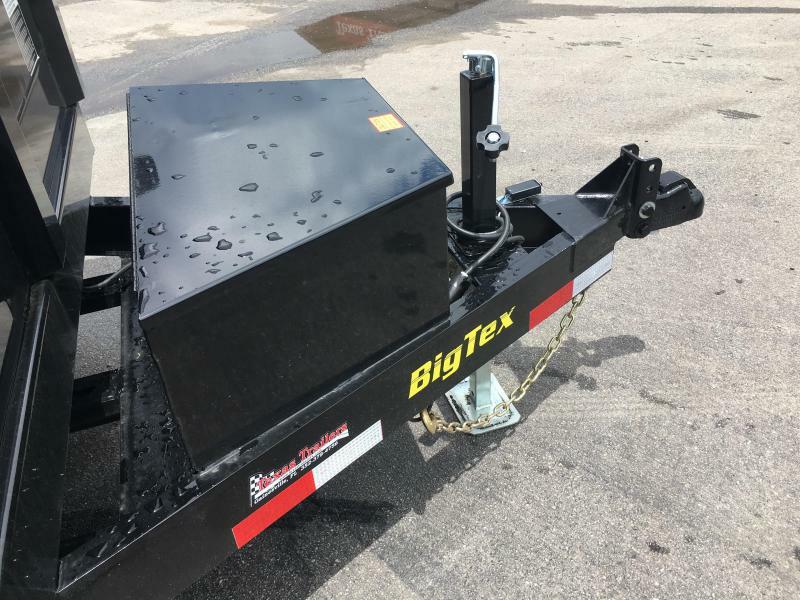 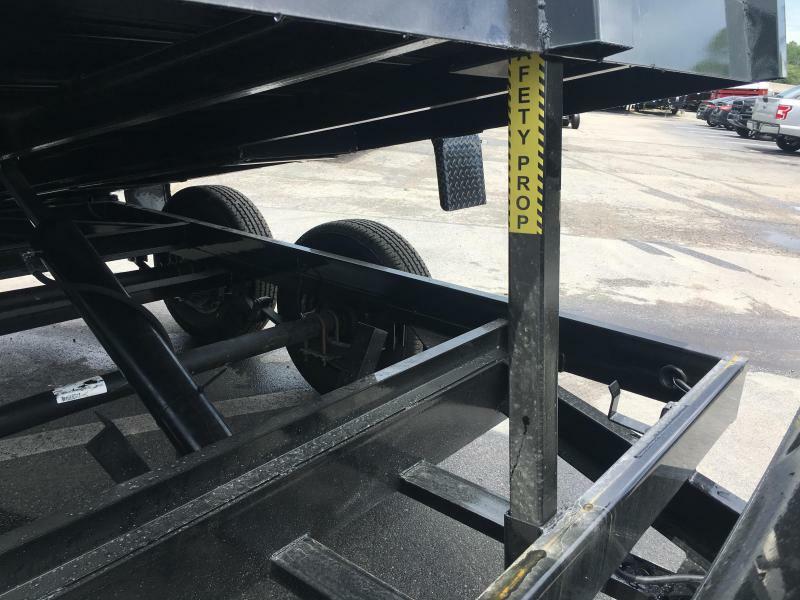 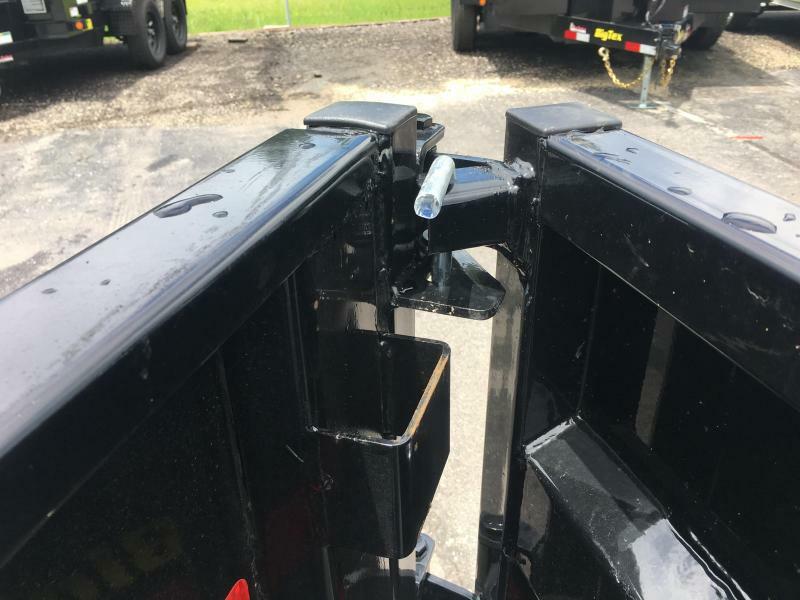 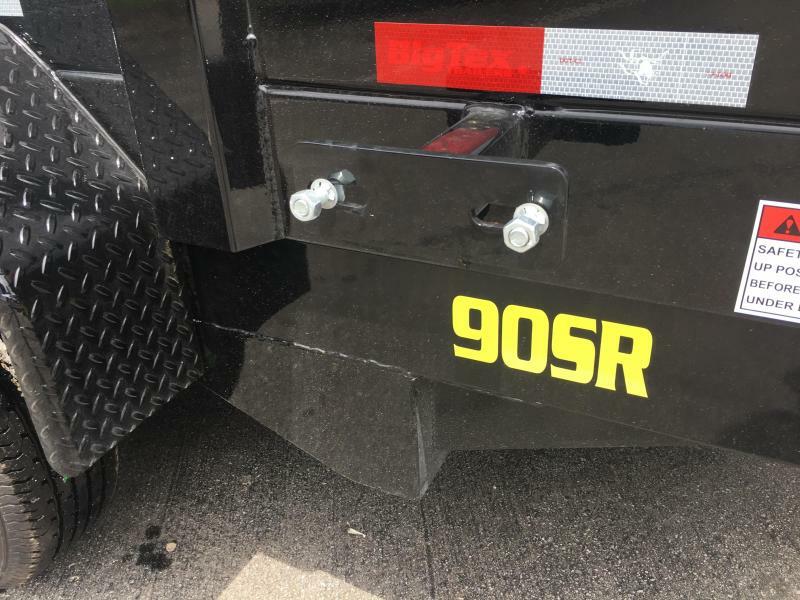 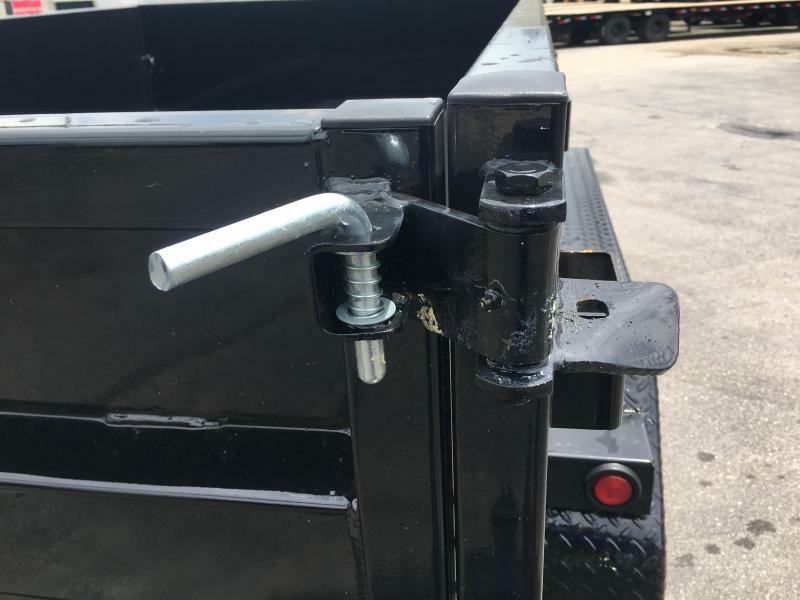 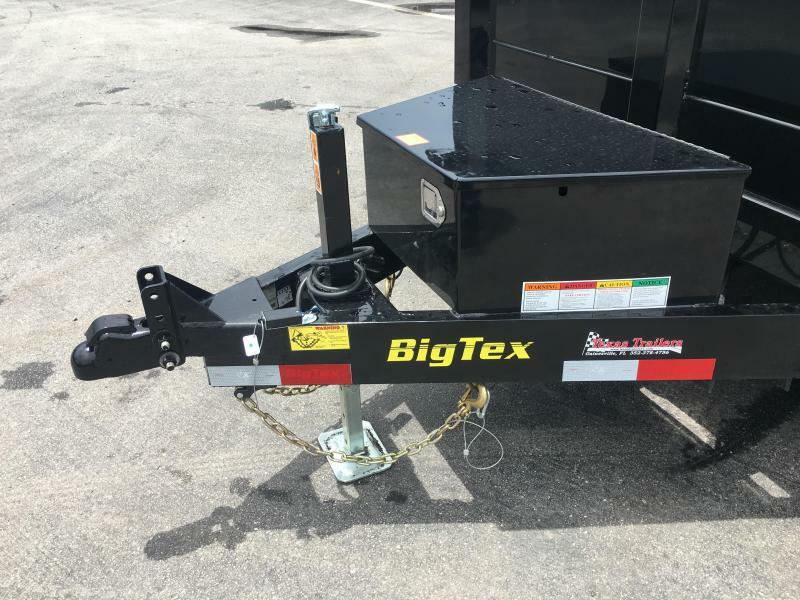 The 90SR from Big Tex Trailers is a light duty dump trailer. 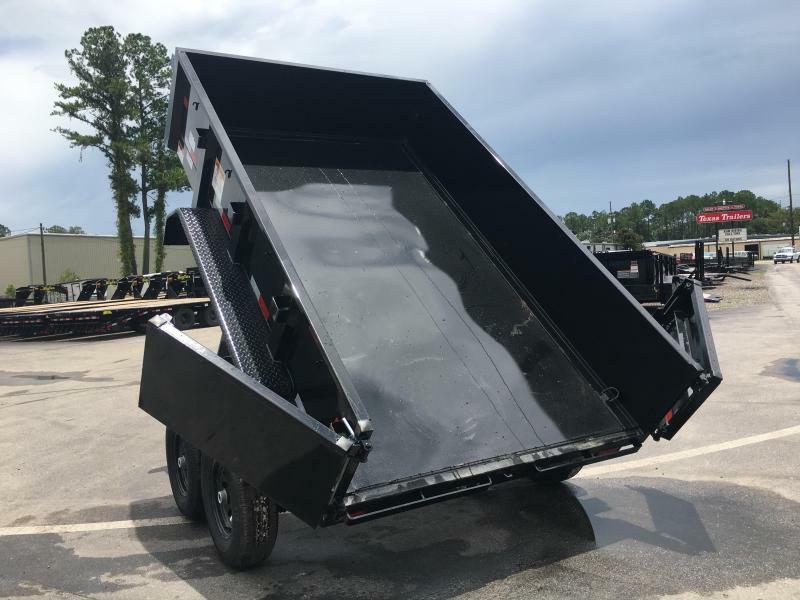 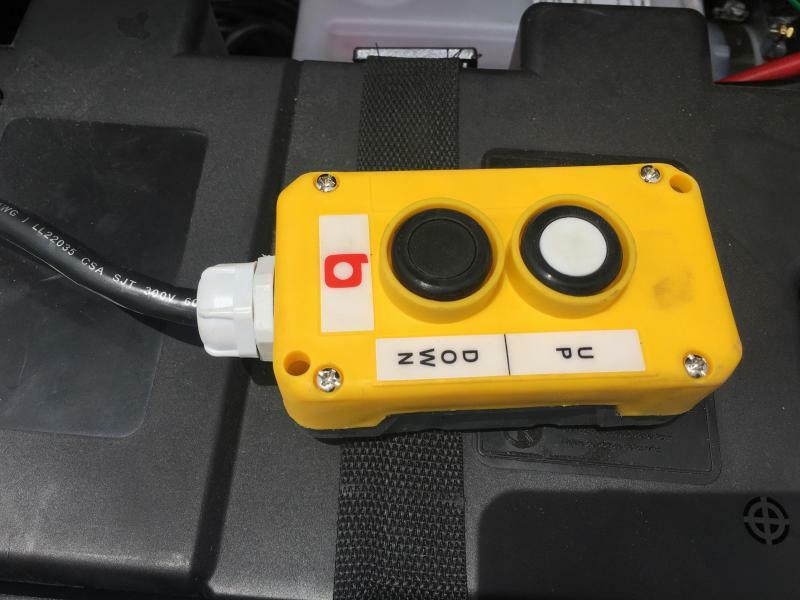 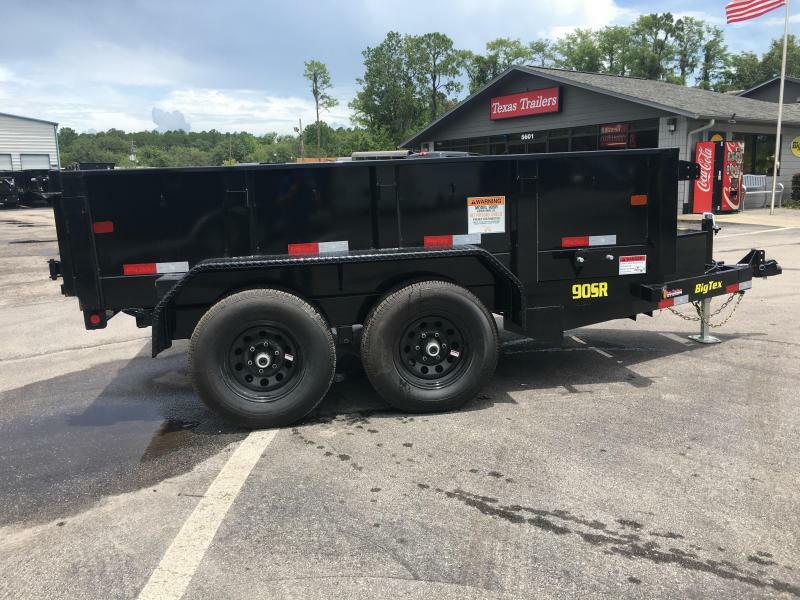 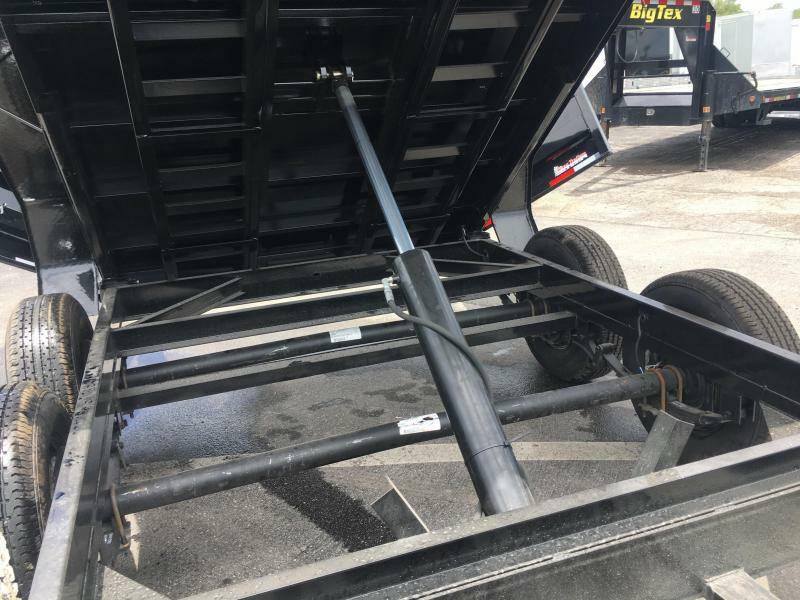 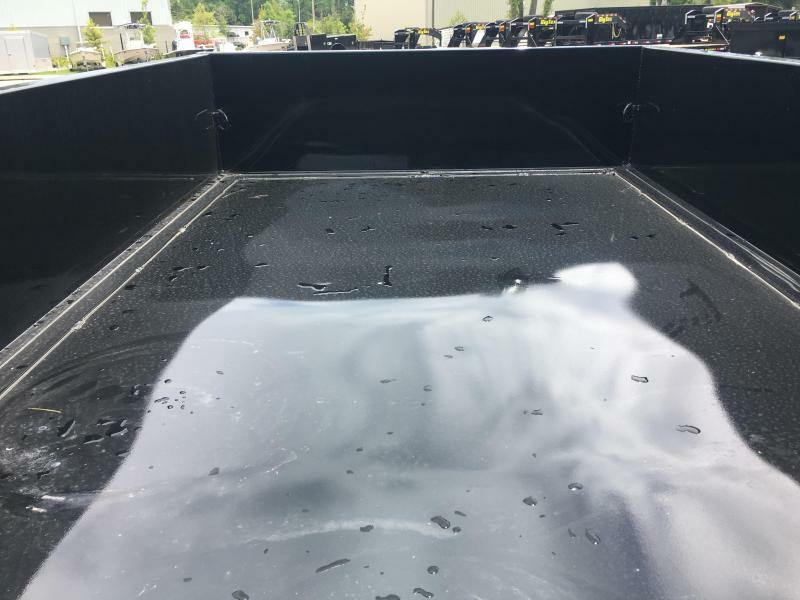 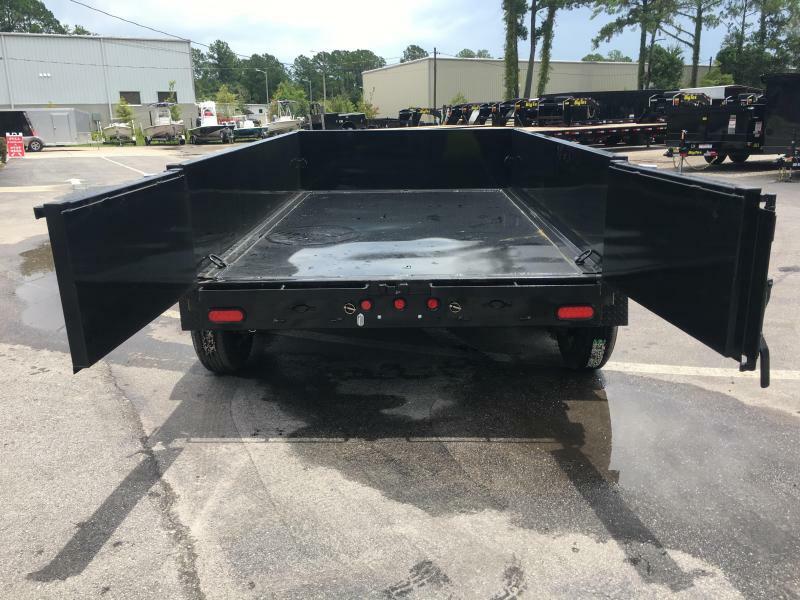 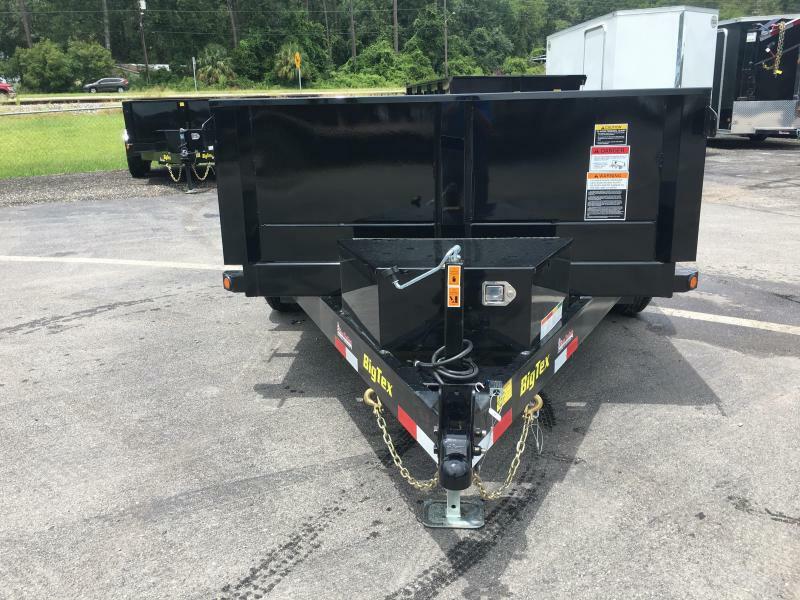 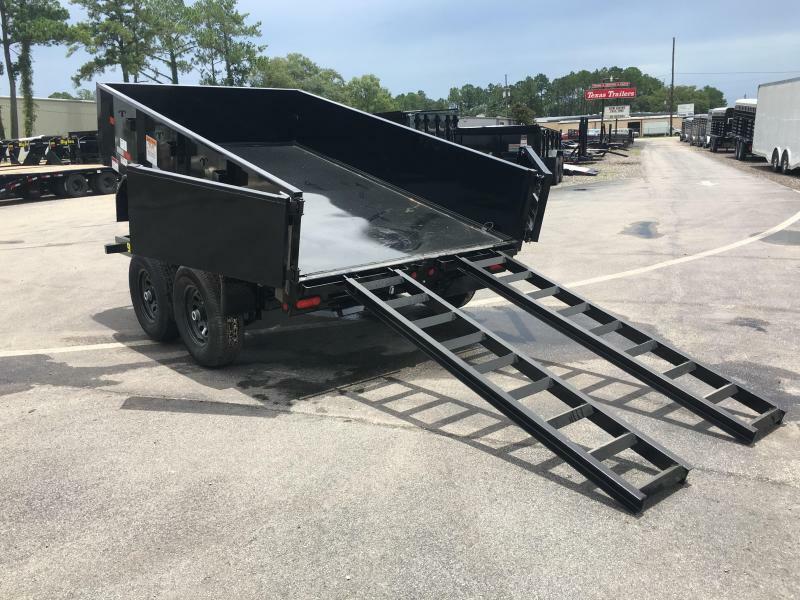 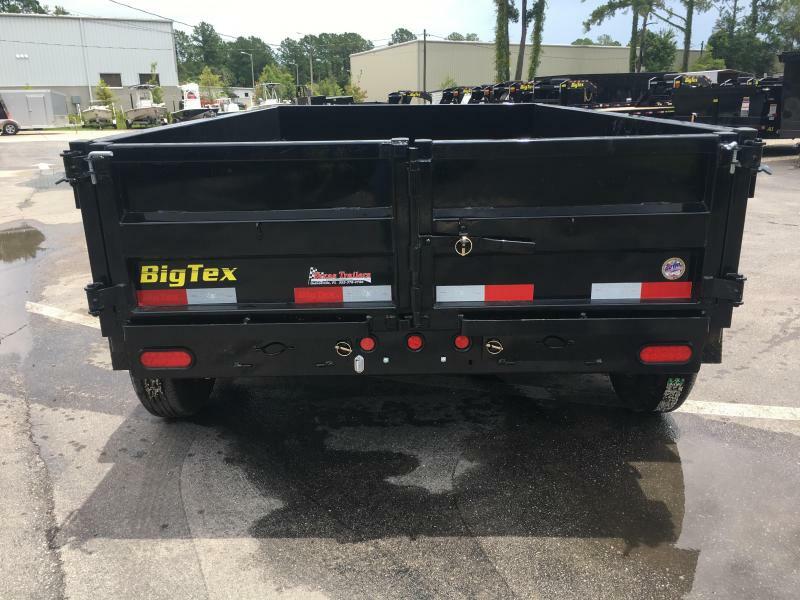 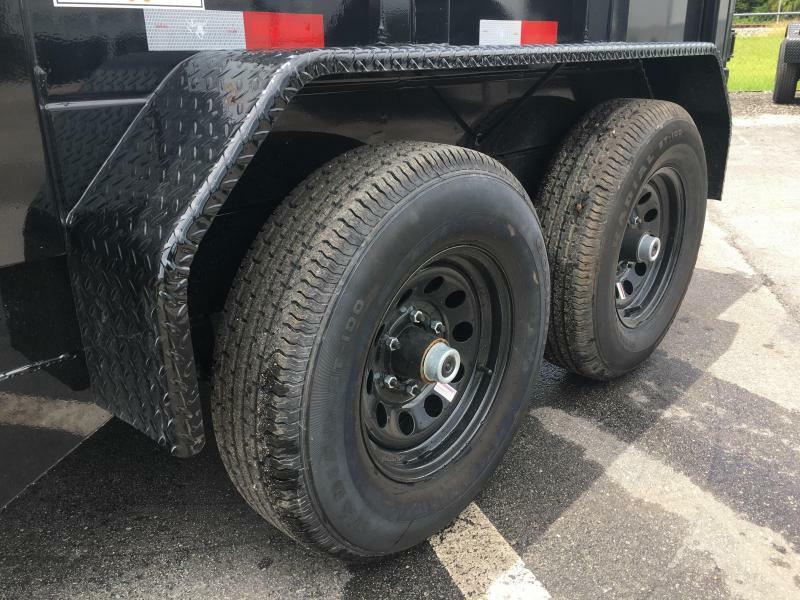 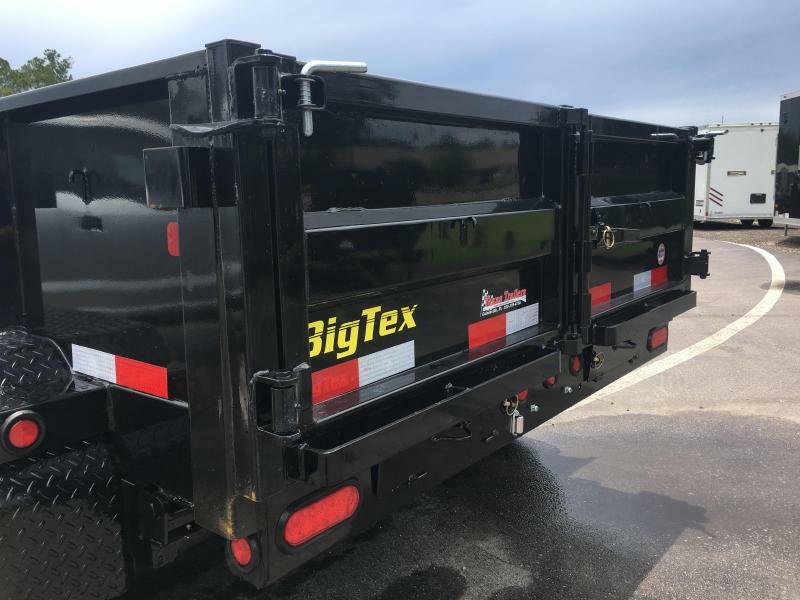 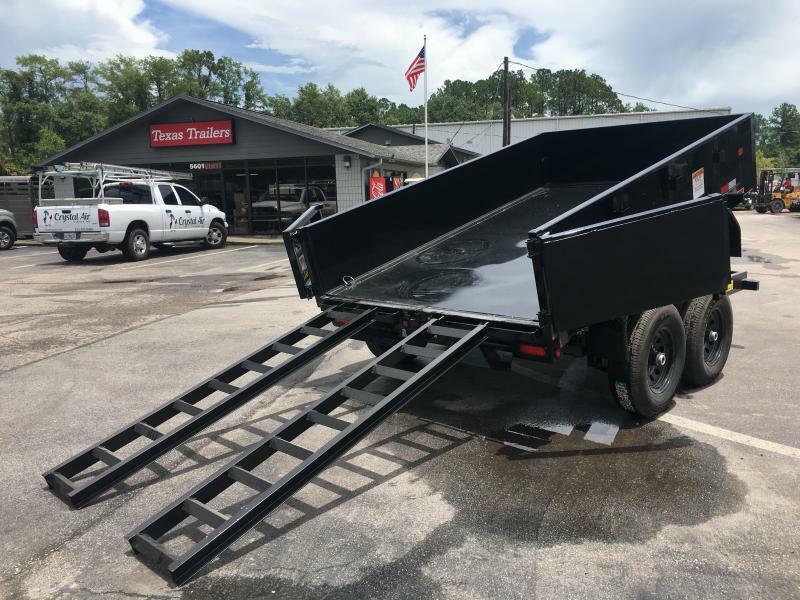 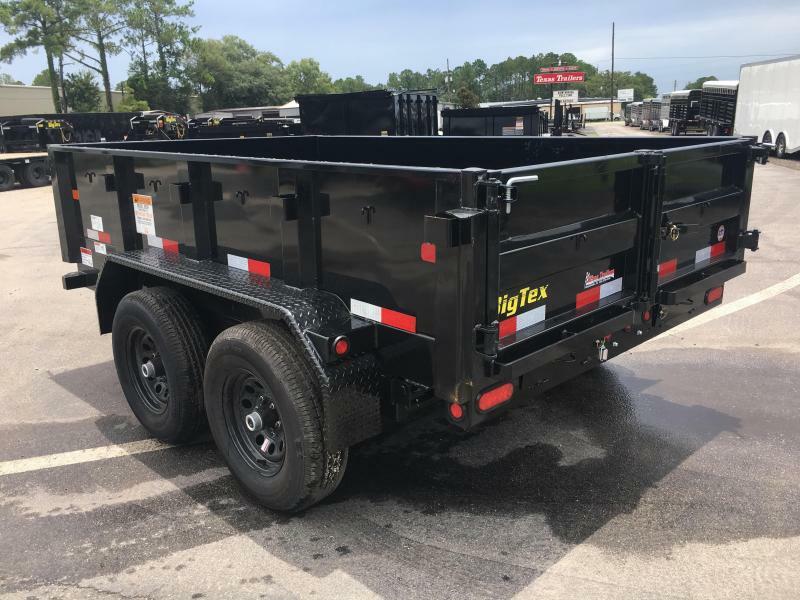 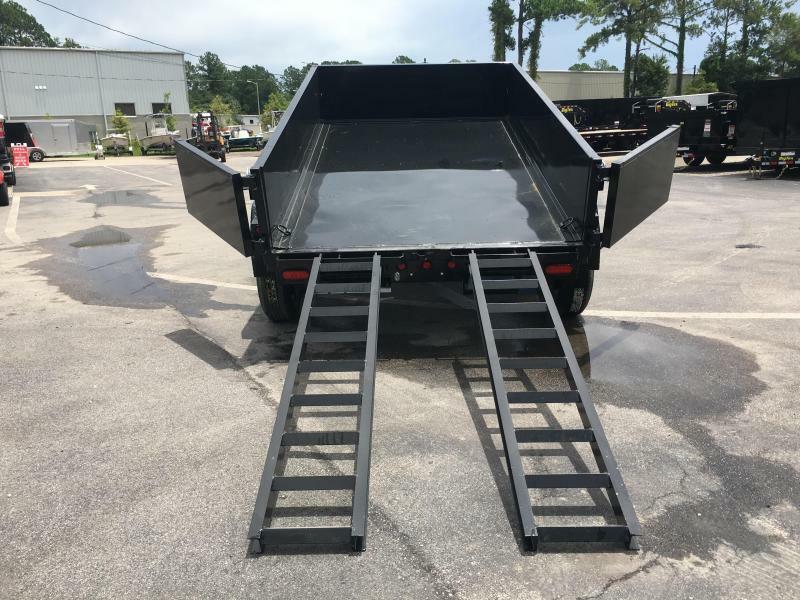 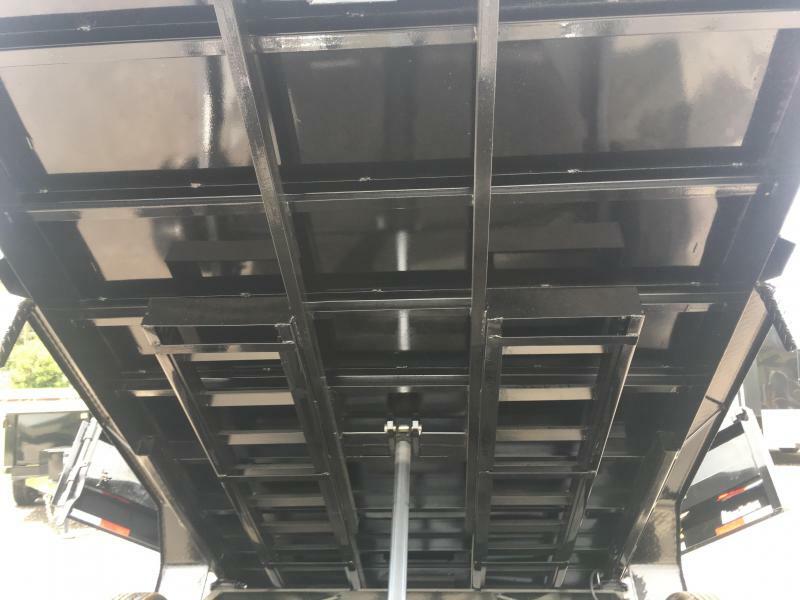 This unit is equipped with a straight ram hydraulic lifting system, Interstate battery, locking pump box, Led lights, and double rear doors with an optional ramp package available. 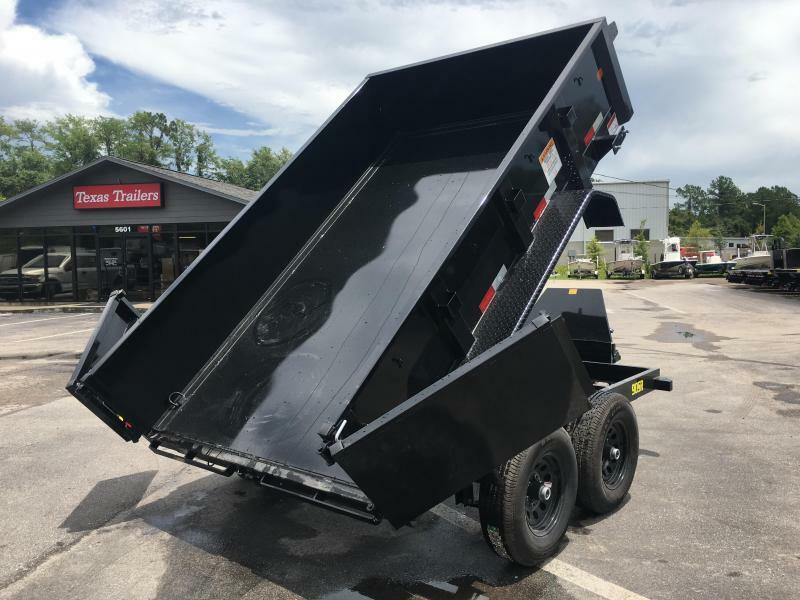 Perfect for hauling mulch, dirt, gravel, and other light loads around the home or farm.